Waikato girl Linn Lorkin, a local jazz scene fixture and woman with international reach, hits Hamilton with her own quartet, performing standards in English and French and her own jazz originals, songs like “Me and the Magician”, “K Rd” and “I’m from Tokoroa”. 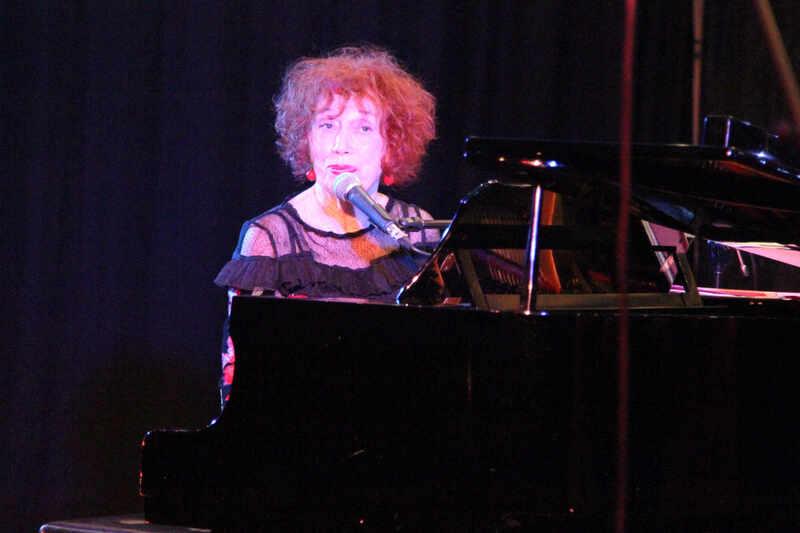 Linn, who honed her vocal and piano skills playing piano bar in New York for many years,previously performed in Edinburgh, London, and Berlin. Linnwill be joined by Hershal Herscher on squeezebox, Aaron Coddel on upright bass and Bryan Harris on drums and swinging vocals. Hershal Herscher, born into a Broadway music theatre family, is an award-winning piano-player, arranger and record-producer. He founded and led The Nairobi Trio and Charanga Amadeus, and regularly performs with Linn Lorkin and The Jews Brothers Band. Bassist Aaron Coddel has played with Annie Crummer, Hello Sailor, King Kapisi and Chicago Smokeshop and with jazz greats Cleo Laine and Mark Murphy. Highly accomplished in the cabaret and music theatre genres, he recently accompanied Jennifer Ward-Lealand in Falling in Love Again. Bryan Harris has enjoyed a long career in music as a drummer, latin percussionist, programmer and vocalist, beginning with iconic NZ bands, The Action, the La De Das and Peter Posa, followed by extensive overseas live and recording work. Bryan regularly performs with Suzanne Lynch, and with his duo Sirrah. Do join us - We are looking forward to a great afternoon of high quality music. It is a great way to relax and unwind on a Sunday afternoon. Meals, snacks and drinks are available for purchase from the club.